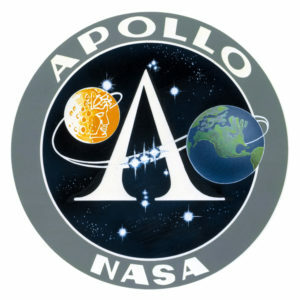 A discussion of the Apollo Spacecraft Program must include reference to the Mercury and Gemini Programs, not because they are manned space programs but because of the interrelationship between the programs in time, in people, in organizations and in technology. The Mercury Program had a very specific objective, namely to place a man in orbit and return him to earth. The Gemini Program’s objectives were intended to explore and develop man’s capabilities to work in space. 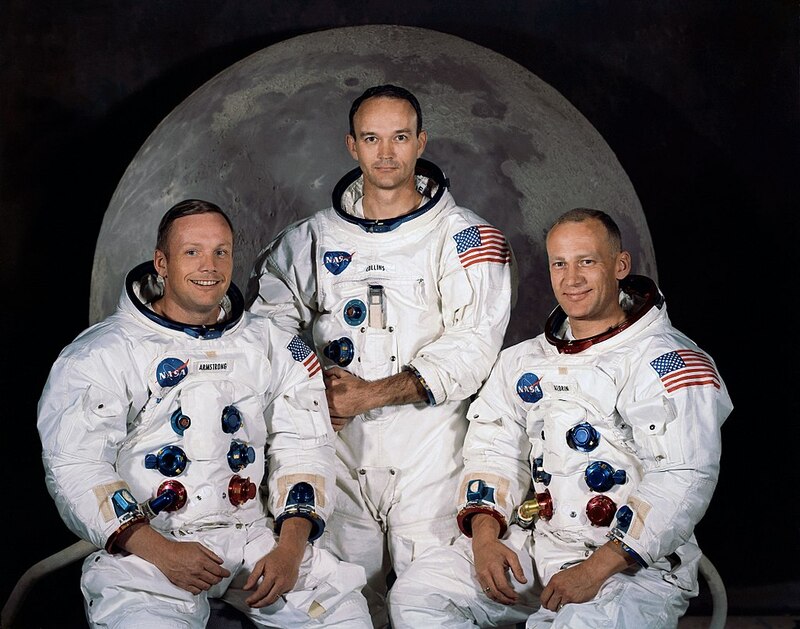 It had more resources than Mercury in terms of increased payload and technology and was able to demonstrate and achieve most all the necessary objectives needed for an Apollo mission. Apollo had a well-defined objective; to land man on the moon and return him safely to Earth. To do so before the decade was out was just icing on the cake but a driving force none the less. Apollo required far more hardware and software and operational capabilities than one could have ever imagined at the beginning of the space program in 1958. In hindsight, people were actually working on Apollo as early as 1959 and it became a formal program in 1960; even before Yuri Gagarin or Alan Shepard’s flights. Needless to say, the history of Apollo is recorded in tomes filling libraries and is beyond the scope of a website. Only the summaries of missions and their primary objectives are included herein. 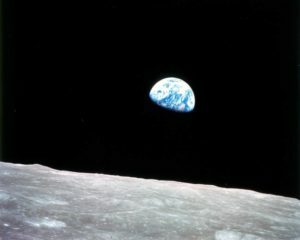 Launched on February 26, 1966. Obtain flight information on the structural integrity and compatibility of the launch vehicle and spacecraft and confirm launch loads. Test the separation of the following: S-IVB stage, instrument unit (IU) and spacecraft from S-IB stage, Launch Escape Systems (LES) and boost protective cover from command and service modules (CSM) and launch vehicle, separation of the CSM from S-IVB stage, IU, and service module LEM adapter (SLA) and the Command module (CM) from service module (SM). Launch vehicle - propulsion, guidance and control, and electrical systems. CM reaction control system (RCS); SM RCS; stabilization control system (SCS); earth landing system (ELS); electrical power system (EPS) partial. Evaluate performance of the space vehicle emergency detection system (EDS) in an open-loop configuration. Demonstrate the mission support facilities and operations required for launch, mission conduct, and CM recovery. All primary objectives were achieved. Fluid dynamics and heat transfer to propellant tanks. Attitude and thermal control systems. Launch vehicle guidance, Checkout in orbit. Launched on August 25, 1966. Evaluate the CM heatshield at a high heating load. All primary objectives were achieved. 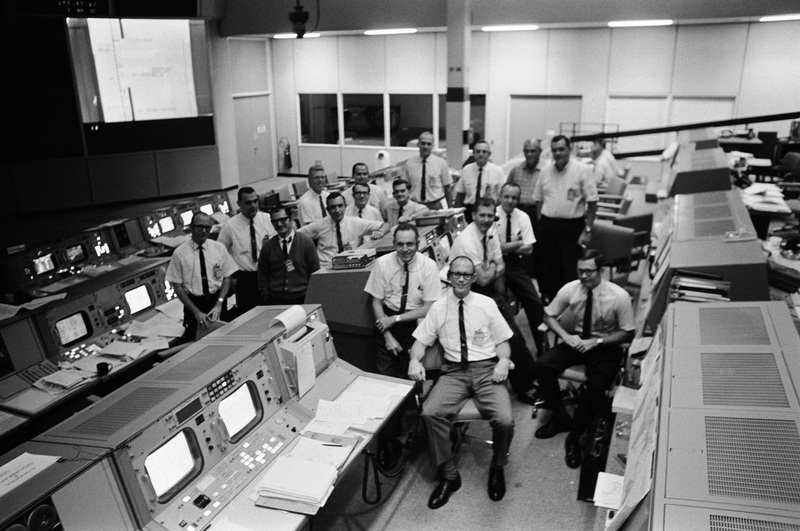 The Apollo 201,202 and 203 flights were controlled from MOCR 1. Verify prelaunch and launch support equipment compatibility with launch vehicle and spacecraft systems. Demonstrate the structural and thermal capabilities of all the stages of the Saturn; S-IC, S-II and S-IVB throughout the flight sequence and envelope and their readiness for manned flight. Demonstrate launch vehicle sequencing system. Evaluate the performance of the emergency detection system in an open-loop configuration. Demonstrate the mission support capability required for launch and mission operations to high post-injection altitudes. All Saturn V primary objectives achieved. 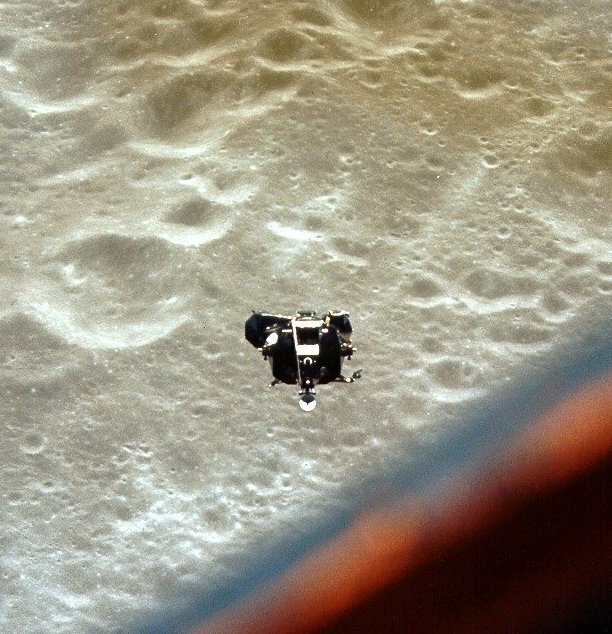 This was the first Apollo flight controlled from MOCR 2. Evaluate the performance of the spacecraft emergency detection subsystem (EDS) in the open-loop configuration. Demonstrate CSM/SLA/LTA/Saturn V structural compatibility and determine spacecraft loads. Determine the force, acoustic, vibration and thermal environment of the simulated LM. Evaluate the thermal and structural performance of the Block II thermal protection system in a simulated lunar return, high heat load reentry. Verify the performance of the SM/RCS and CM/RCS systems. Demonstrate the performance of CSM/MSFN S-band communications. Measure the integrated skin and depth radiation dose within the command module. 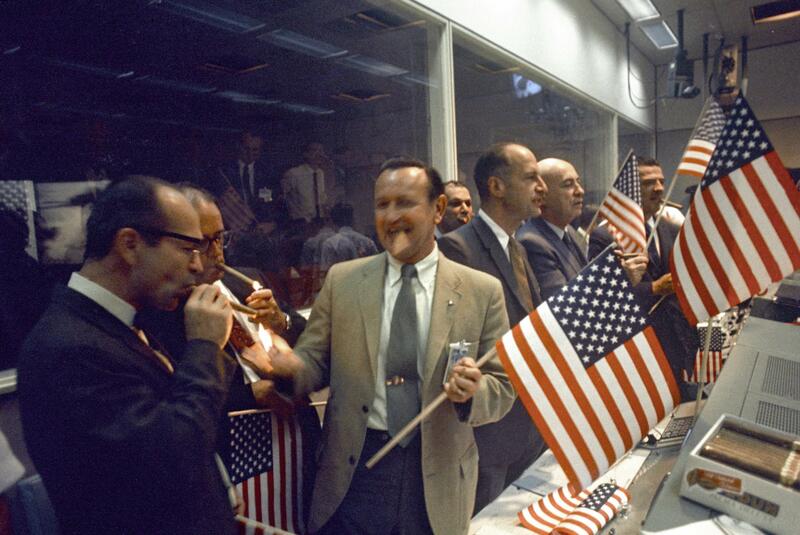 This was the first Apollo flight controlled from MOCR 2. Ascent propulsion system and descent propulsion system; first throttleable rocket engine fired in space. Performed a simulation of a landing abort; the "fire in the hole" test. Evaluated the S-IVB/IU orbital performance. All primary objectives achieved. This flight was controlled from MOCR 1. S-II from S-IC and the S-IVB from S-II. (Both accomplished). Evaluated propulsion (including S-IVB restart), guidance and control (optimum injection), and electrical system (partially accomplished). Evaluate performance of the space vehicle EDS in a closed-loop configuration (accomplished). Demonstrate mission support facilities and operations required for launch, mission conduct, and CM recovery (accomplished). This flight was controlled from MOCR 2. 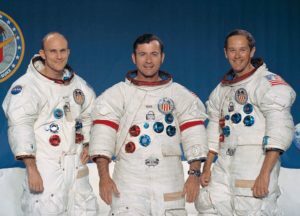 Scheduled for launch on February 21, 1967, this was to have been the inaugural manned flight of the Apollo series, but a cabin fire during a “Plugs Out” launch rehearsal on January 27th killed all three crew members: Command Pilot Virgil I. 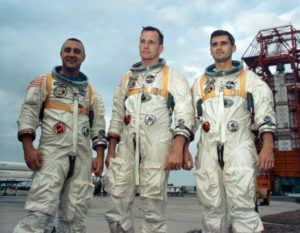 “Gus” Grissom, Senior Pilot Ed White and Pilot Roger B. Chaffee. 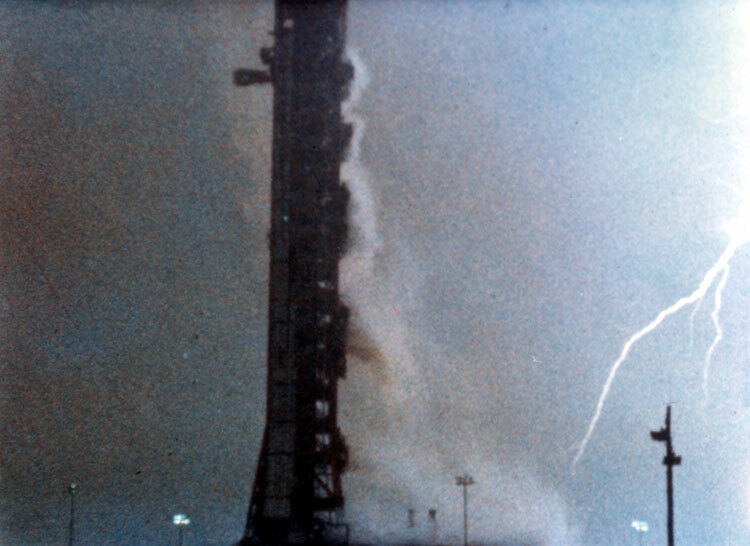 The tragedy was heard by the MOCR 1 team that was on-console to monitor the test. On April 24th the name “Apollo 1” was retired by NASA in commemoration of the crew. The events of that day have been written about many times. The MSOA remembers and honor them for their sacrifice. Practiced LM rendezvous with an S-IVB space craft adapter target. Evaluated the Service Propulsion System (SPS) - made eight firings. Evaluated mission support facilities performance. Conducted the first live TV broadcast. Completed all flight test objectives. 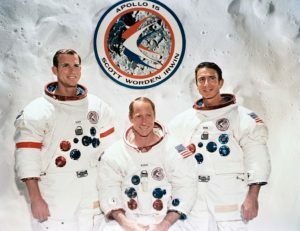 This was the only manned Apollo flight flown out of MOCR 1. 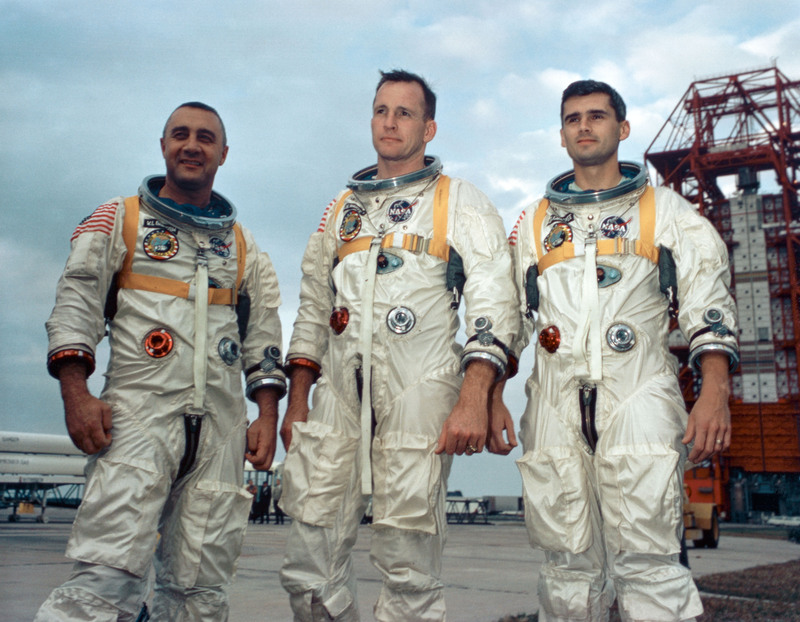 First crew launched on a Saturn V.
First crew to leave Earth and fly to the moon. Demonstrated primary and backup lunar orbit rendezvous (LOR). Conducted the first Translunar Injection (TLI) burn. Conducted CSM navigation, communications, and midcourse corrections. Assessed CSM consumables and passive thermal control. All primary objectives achieved. 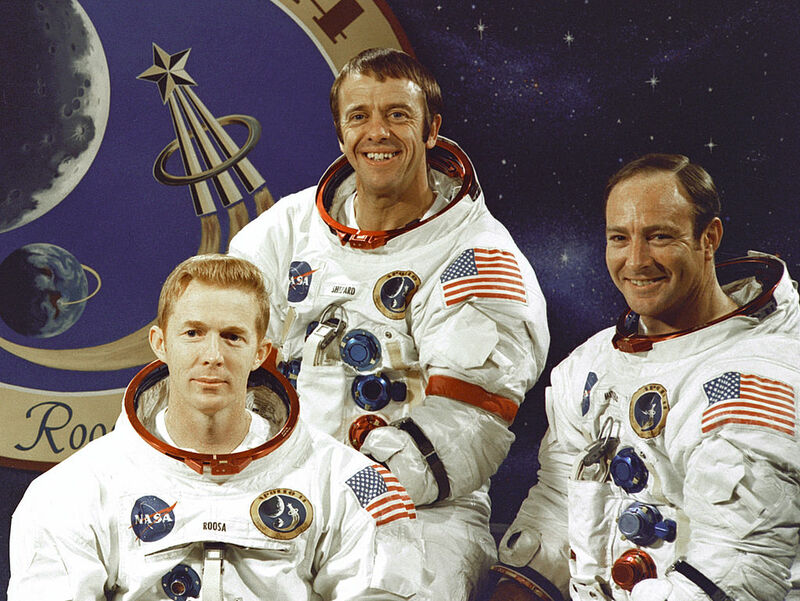 This flight and all other manned Apollo flights were controlled from MOCR 2. Testing all of the components and procedures, just short of actually landing. Brought the LM down to 8.4 nautical miles from the lunar surface; at the point where powered descent would begin on the actual landing. 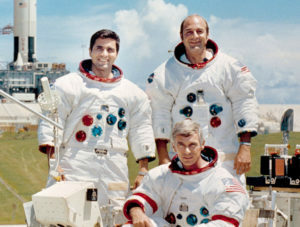 Demonstrated crew-space vehicle-mission support facilities performance during a manned lunar mission with CSM and LM. Evaluate LM performance in the cislunar and lunar environment. 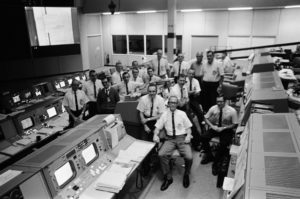 Provided the MCC flight controllers and extensive tracking and control network through a rehearsal for the lunar landing. Launched on July 16, 1969. Perform the first manned lunar landing and return. Collect a contingency lunar sample. Egress from the LM to the lunar surface; perform lunar surface EVA operations, and ingress into the LM from the lunar surface. 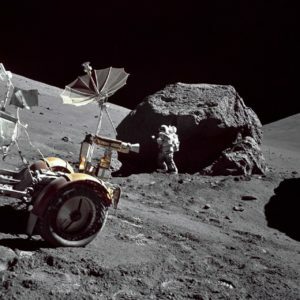 Perform lunar surface operations with the EMU. Obtain data on effects of DPS and RCS plume impingement on the LM and obtain data on the performance of the LM landing gear and descent engine skirt after touchdown. 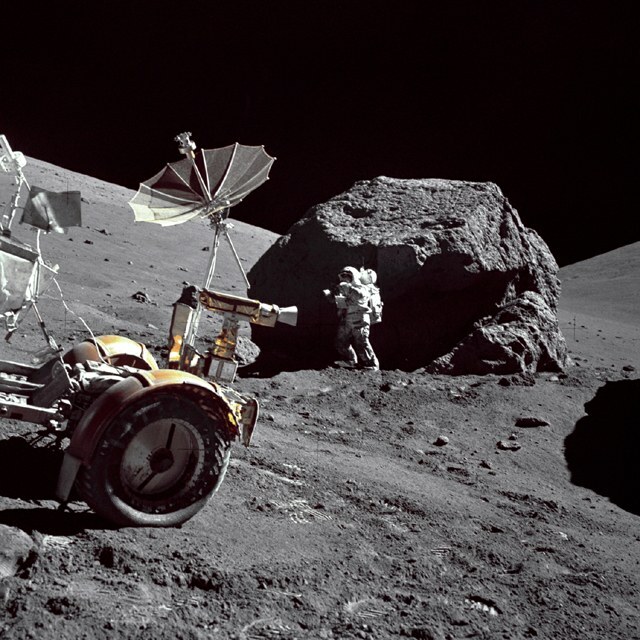 Obtain data on the lunar surface characteristics from the effects of the LM landing. Determine the position of the LM on the lunar surface. Obtain data on the effects of illumination and contrast conditions on crew visual perception. Demonstrate procedures and hardware used to prevent back contamination of the earth's biosphere. Deploy the Early Apollo Scientific Experiments Package (EASEP) and conduct experiments. Obtain television coverage during the lunar stay period. Obtain photographic coverage during the lunar stay period. Performed selenological inspection, survey, and sampling in a mare area. 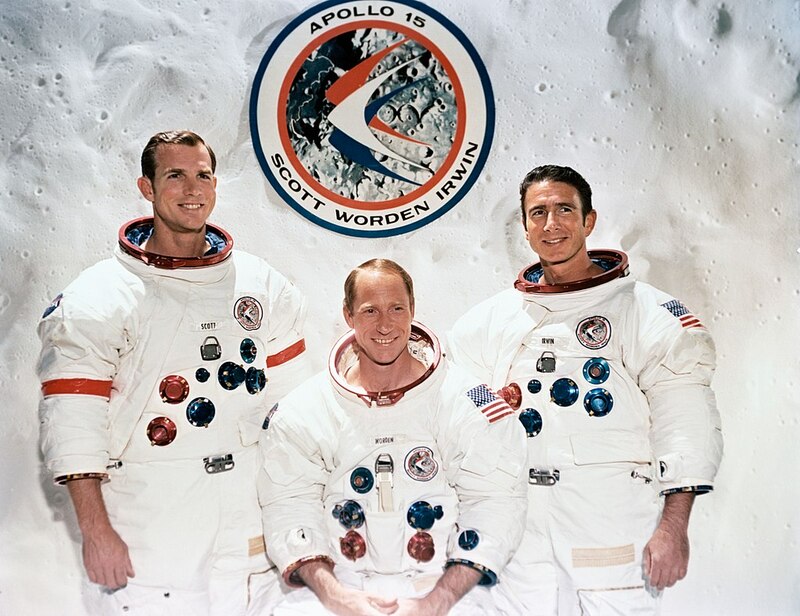 Deployed and activated the Apollo Lunar Surface Experiments Package (ALSEP I) which included six experiments. Perform lunar surface EVA operations and collected samples. Visited the Surveyor spacecraft and retrieved some parts for return. Obtain photographic coverage of candidate exploration sites. All principal objectives were achieved. 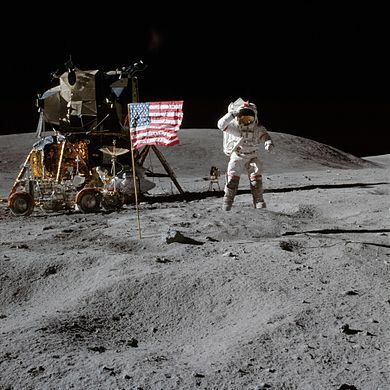 Launched on April 11, 1970. 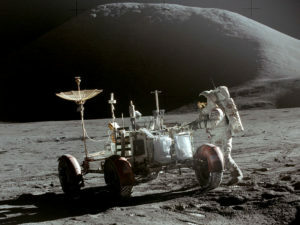 The original plan was to fly to the moon and perform selenological inspection, survey, and sampling of materials in a preselected region of the Fra Mauro formation and deploy and activate an Apollo Lunar Surface Experiments Package (ALSEP). 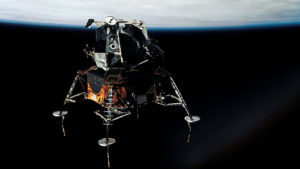 The lunar landing was aborted after an oxygen tank exploded two days later, crippling the Service Module (SM) upon which the Command Module (CM) had depended. Despite great hardship caused by limited power, loss of cabin heat, shortage of potable water, and the critical need to make makeshift repairs to the carbon dioxide removal system, the crew returned safely to Earth on April 17, 1970, six days after launch. 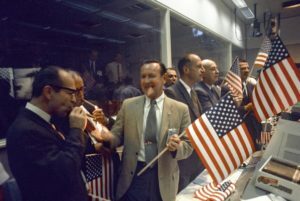 While none of the original mission objectives were met, the flight demonstrated the capability of Mission Control to come up with the work-arounds necessary to save the crew and the crew demonstrated their ability to cope with the situation and implement the necessary procedures to save themselves and return to Earth. Launched on January 31, 1971. Perform selenological inspection, survey, and sampling of materials in a preselected region of the Fra Mauro formation. Used the Modular Equipment Transporter (MET), a pull-cart for carrying equipment and samples. Conducted CSM lunar orbit experiments including photographing Apollo 16 landing sites. All primary test objectives were achieved. Exploring the lunar surface in a preselected area of the Hadley-Apennine region. Deployed and activated the ALSEP surface experiments. 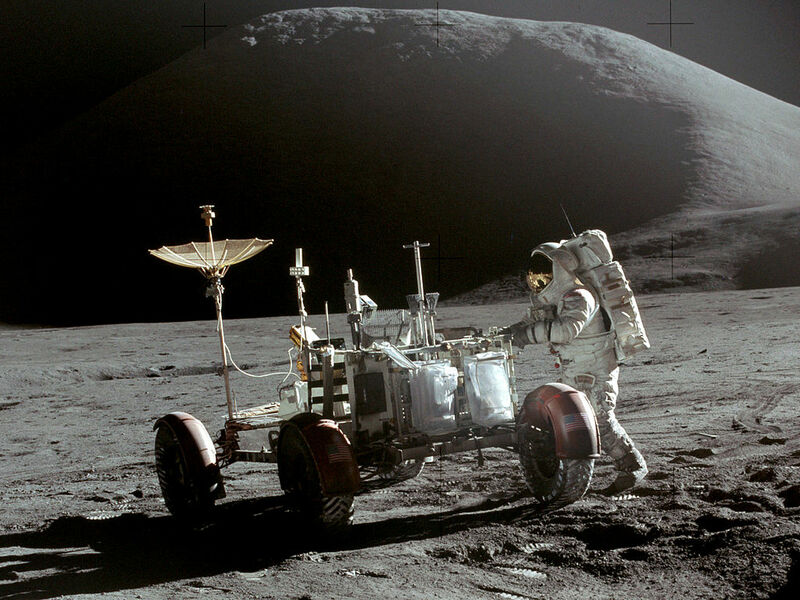 Deployed and used the first Lunar Rover. Conducted two EVAs to acquire materials and conduct experiments. Explore the area of the Descartes region of the lunar highlands. Deployed and used the Lunar Rover to collect 211 lbs. of moon rocks. Conducted over 20 hours of EVAs. 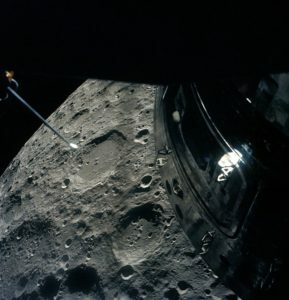 Conducted lunar orbit experiments and observations using the Scientific Instrument Module (SIM) in the Service Module (SM) to study the lunar surface and environment in great detail. While in lunar orbit, the crew released a subsatellite from the Service Module (SM). During the return trip to Earth, the CSM pilot performed an EVA to retrieve several film cassettes from the exterior of the SM. Launched on December 7, 1972. This was the last Apollo lunar mission. Completed three moonwalks, taking lunar samples and deploying the ALSEP and the Surface Electrical Properties (SEP) experiments. The Command Module Pilot took scientific measurements and photographs from orbit using the SIM in the SM. 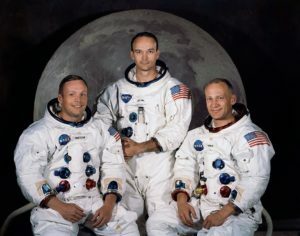 The mission broke several records: the longest moon landing, longest total extravehicular activities, largest lunar sample, and longest time in lunar orbit. All the primary objectives were achieved.